A few years ago, I retired pigeon pose from my yoga vocabulary. I don’t practice it or teach it anymore and I’ll tell you why. First, if you are someone who practices pigeon pose, why do you use it? And if you’re a teacher, why do you teach it? Take a moment to reflect on that and read on. First, let’s take a look at pigeon, AKA Eka Pada Rajakapotasana. I’m demonstrating the backbend version of this posture, with my back foot bound. This is also sometimes called “mermaid pose.” Let’s be real. It is pretty! Also, I’m a dancer and so in my world, sometimes we do things that are aesthetically pleasing that are not so great for our bodies, which I think is the case of this pose. For a long time I liked this posture a lot because I felt a stretch in the front of my back hip, and the outside of my front hip. 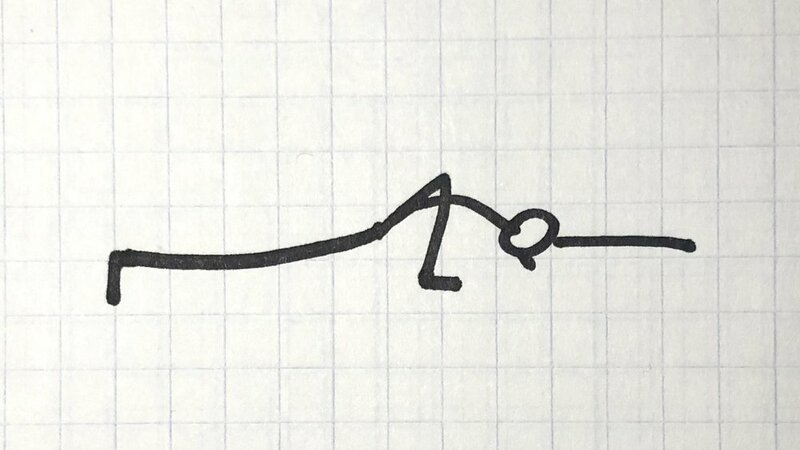 The outer hip stretch was particularly satisfying to me (modeled by my stick figure below). In my case, I definitely hit my end range of motion in the forward fold version of pigeon (AKA Sleeping Swan in yin yoga). My front hip crease would feel pinched no matter where my leg was positioned and my leg would fall asleep if I hung out there long enough. As you might imagine, it didn't feel good! I quickly learned that I could stretch my outer hip more effectively in other shapes without discomfort. Around this time, I also started studying Viniyoga more intensely and during our teacher training, Gary Krafstow explained that it is not part of Viniyoga tradition, primarily due to the risk of the joints. So let’s take a look at those risks. First, the knee joint (1). This posture requires external rotation of the front hip, and if that degree of rotation is not available, it’s going to travel down and borrow rotation from the knee. In a bent position, the knee can rotate slightly, but that’s not it’s intended purpose. Due to gravity, your body’s relationship to the floor forces that leg into deeper rotation and can torque the knee joint. As mentioned, the front hip is in external rotation (2), and of particular concern in the forward bend version, when you tilt forward, there is compression in the front leg hip socket. Some degree of compression is perfectly fine, and even healthy for the joints. It’s likely people who are regular practitioners of this posture are at the most risk of injury to the joint due to repeatedly squishing the head of the femur into the hip socket, potentially causing damage to the labrum. Honestly, I think this is where I was headed with my overuse of this pose. The other problem with the forward bend version of this pose is that it is often used to stretch the glutes passively, which over time can destabilize the SI joint (which I definitely did). Moving back down the front leg to the ankle (3), this is another place where body weight + gravity + floor can cause the ankle to “sickle” or for the outer side of the ankle joint to overstretch and cause soft tissue damage. Finally, let’s address the back hip (4). In the back bend version of this posture, the head of the femur is moving forward and the pelvis is tilting back. This can happen in a lot of lunge shaped positions, honestly, but again, the leverage against the floor in this position is particularly problematic. This can cause over-stretching of the hip flexor at the attachment at the femur, as well as damage to the joint itself. In this image you can see how one side of my hip is forward of the other. This asymmetric position is what causes particular strain to the SI joint, especially in the forward bend version where there is more pull on one side of the glutes and low back. There are lots of yoga postures that are risky, so why am I always giving pigeon such a hard time? It’s so prevalent in yoga classes of all styles and levels, and it’s lazy sequencing. Many teachers will use this to transition from active to passive, from standing to floor, without consideration to how to make this posture safer by proper preparation, sequencing and/or use of props or other modifications. The risks of this posture so clearly outweigh the benefits. There are much more effective ways to stretch the outer hip, hip flexors and back with significantly reduced risk to the joints. It’s a posture that lots of yoga practitioners are addicted to because “it feels good.” I was in that camp myself until I realized I was literally pulling myself apart and started to experience pain and injury due to instability in my SI joint from going into my end range of motion repeatedly for long periods of time. Back to point number one, if you are a yoga teacher and you are using “it feels good” to defend your sequencing, that really isn’t good enough. You need to consider the needs of your student. You cannot assume what will feel good to you will feel good or be appropriate for them. That being said, if you do use pigeon in your classes, there are ways to reduce the risk and introduce muscle activation into the posture. There are plenty of of other yoga teachers who have written about modifications to pigeon, but for me, I don’t think it’s necessary so I just don’ teach it anymore. Probably this posture is actually safer for people who drop into yoga classes only occasionally, or for people who are very strong with stable joints (athletes) than it is for people who are flexible, avid practitioners and use it all the time. Here’s a look at godhapitham which is a Viniyoga alternative to pigeon. It includes both the forward and backbend component, with much less risk, and if you incorporate some dynamic movement, you get all sorts of benefit for the glutes, back, quads, and hip flexors. I think most people tend to use pigeon for the outer hip stretch and so if you’re looking for that, my favorite alternative is figure four AKA reclined pigeon. I'm lazy and don't even pick my foot off the ground, and if I rock side to side a little I can get a bonus massage of my glutes. 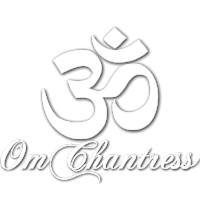 I specialize in creating simple, efficient yoga practices for people in-person in Catonsville, MD and via Skype. Check out all the details or email me for more information. Do you practice or teach pigeon? What do you think?